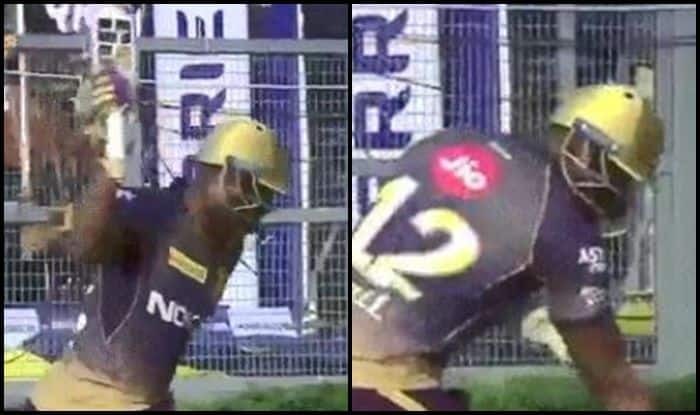 IPL 2019: Was Russell's wicket the game-changing moment for KKR? IPL 2019: Andre Russell has been the most feared batsman in the season thus far. He has hardly failed and has got KKR over the line on a few occasions. All eyes were automatically on him when he walked into bat against CSK at Eden Gardens. He came in to bat in the 15th over. He faced four balls, hit 10 runs and was caught in the deep. It was a big wicket for VSK and Imran Tahir was over the moon after that. Here is the video where you can see a ‘furious’ Russell smashing the bushes on his way back to the pavilion just goes to show how much he values his wicket nowadays. Earlier in the day, CSK won the toss and opted to field first. Lynn with 81 was the top-scorer for KKR as their middle-order failed again. Tahir was the wrecker-in-chief as he bagged four wickets for 27 runs in his quota of four overs. Meanwhile, table-toppers Chennai, who could be through to the playoffs with one more win, remained unchanged from their last outing which they won against Rajasthan Royals, a match marred by Dhoni’s confrontation with the umpires. KKR on the other side welcomed back Sunil Narine and Chris Lynn with Harry Gurney also brought back in place of Lockie Ferguson. Joe Denly and Carlos Brathwaite missed out. KKR lost their last two matches.